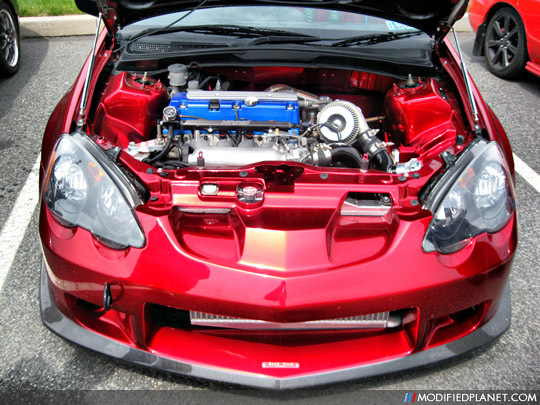 DC5 Turbocharged RSX, side mount turbo manifold, JDM Backyard Special front bumper, candy apple red paint, engine bay wire tuck and polished front mount intercooler. Gorgeous. Please please please tell me the name of that bumper and where I can get it. Thank you.